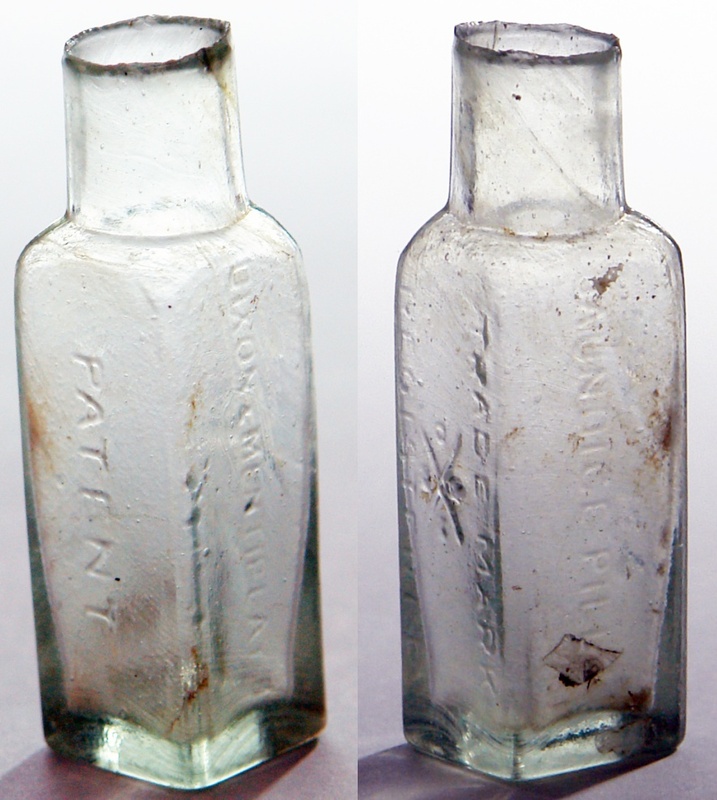 Despite the term seeing widespread use there were actually few true "Patent Medicines". Lot 190 from Auction 2 is one; and indeed one that we haven't seen before. James Dixon and William Mentiplay patented the manufacture of their Jaundice Pills in September 1882. 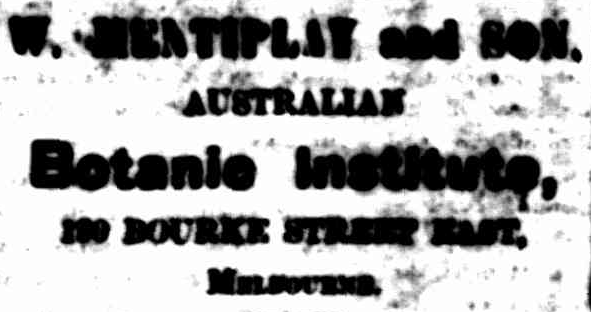 While little is currently known of James Dixon, William Mentiplay was to become a well-known herbalist in Melbourne advertising his products extensively around Australia. 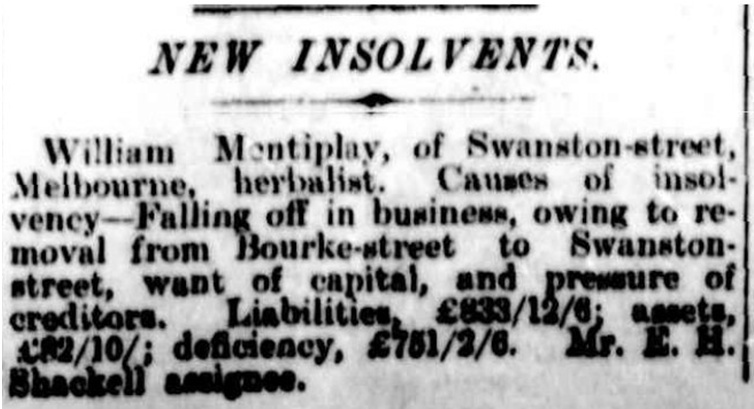 Around 1894 the company became known as W. Mentiplay and Sons and continued in this guise until the 1920s at least (with the odd minor hiccup like bankruptcy along the way). 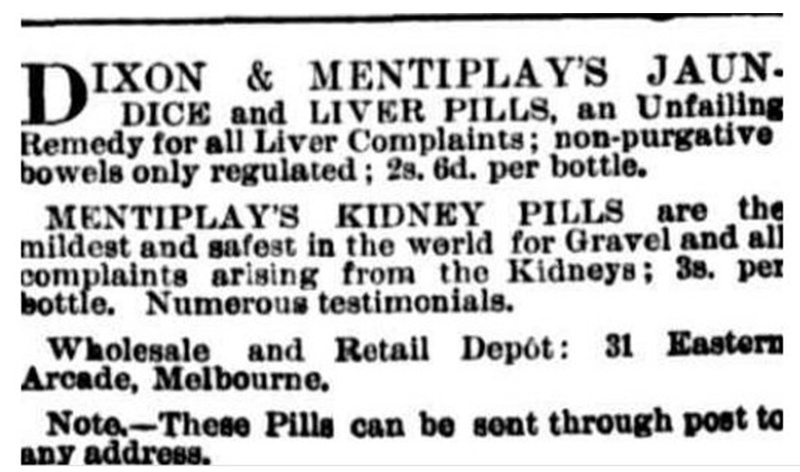 Given the claims Mentiplay makes in his advertising it is fair to assume that his remedies, pills and cures were typical of many medicines of the day and the product in the large green bottle probably contained that well-known medical compound - Alcohol. Usually such products had a bitter type flavouring made from a "secret" concoction of herbs from which the medicinal properties were meant to derive but largely just served the purpose of hiding how potent many of these drinks were. This of course was a time when Wolfe's Schnapps advertising was based around its health giving properties as a stimulant and aid to the kidneys. 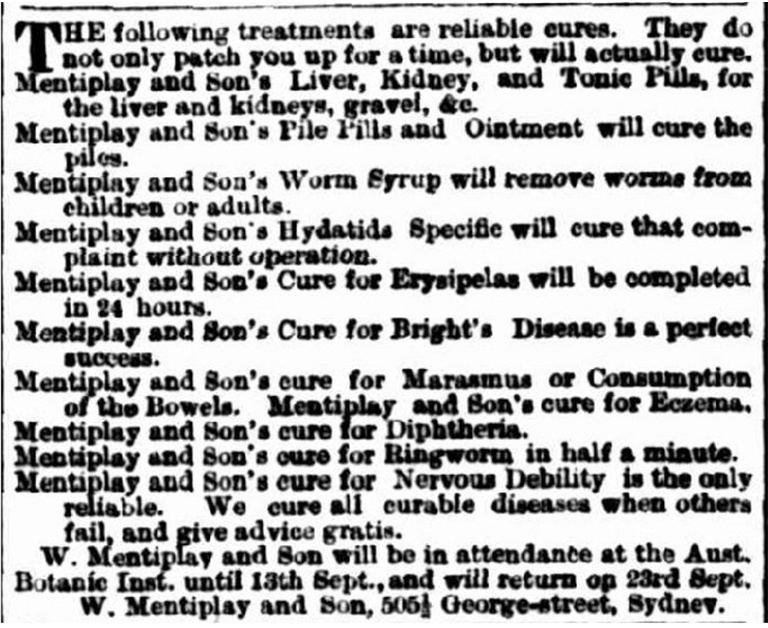 Victorian Government Gazette, September 15th 1882, p2302. Patent for "An invention for the cure of Black and Yellow Jaundice." This is to notify that James Dixon and William Mentiplay, of the city of Melbourne, merchants, did, on the fifth day of September, deposit at the office of the Registrar-General, in Melbourne, a specification, or instrument in writing, under their hands and seals, particularly describing and ascertaining the nature of the said invention, and in what manner the same is to be performed; and that by reason of such deposit the said invention is protected and secured to them exclusively for the term of six calendar months thence next ensuing: And I do further notify that the said James Dixon and William Mentiplay have given notice, in writing, at my chambers for patent cases, of their intention to proceed with their application for letters patent for the said invention and that I have appointed Monday the ninth day of October next, at Eleven o'clock in the forenoon at my said chambers to hear and consider the said application and all objections thereto; and I do hereby require all persons having an interest in opposing the grant of such letters patent to leave, on or before the fifth day of October, at my said chambers for patent cases, in Melboune, particulars in writing of their objections to the said application, otherwise they will be precluded from urging the same. Given under my hand this seventh day of September A.D. 1882.